Great reading about campaigns like this and students getting out and trying to break down barriers. Last week, the Asian American Student Association (AASA) set out to break stereotypes across Tech’s campus through their “I am not” campaign. The AASA stopped students on Skiles and asked them to think of a stereotype they had recently been a victim of [...] The “I am not” campaign was inspired by Harvard’s “I am Harvard” campaign but AASA hoped to increase the effect by reaching out to all students, not just Asian-American or African-American students, who could be a victim of stereotypes. The “I am not” campaign is part of a larger Asian Awareness Month which is being run by AASA. 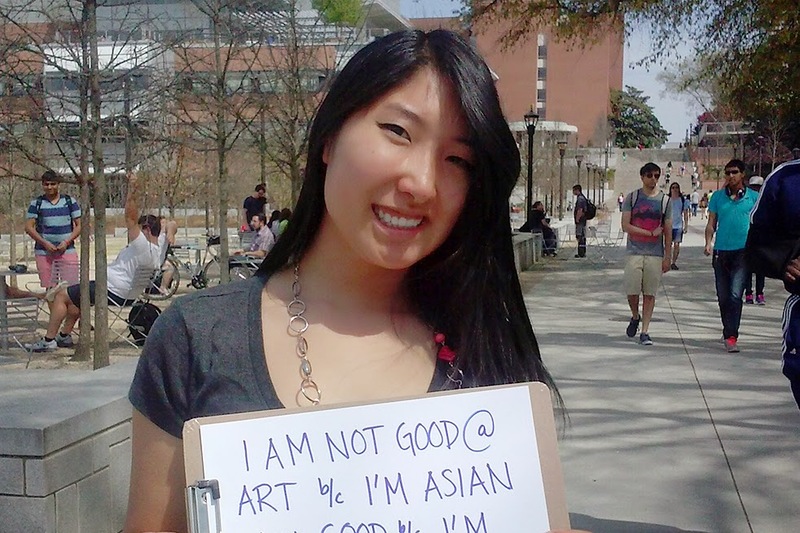 Although Asian Awareness Month is typically in May, because Tech students are out of school then, AASA is celebrating the month in March and April [...] Anthony Tsou’s, second-year CS Major and Vice President of AASA, favorite was Grace Halverson, second-year STC major, who said, “I am not artistic because I am Asian. I am artistic because I am passionate.” “This campaign was a really good opportunity for me, actually. I was able to see stereotypes I had not even considered. It was an interesting to see what campus has perspective wise,” said Tsou.